What inspired me about this image was the contrast between art and machine. As Gormley’s cast iron man looks out onto the sea beyond the windfarm off Crosby Beach this image truly signifies “technology without boundary. An introduction to this special issue. A keynote speech delivered at the 2013 conference of the British & Irish Law, Education & Technology Association, on 11 April 2013, at the University of Liverpool. Online interactive environments like World of Warcraft, Second Life, Habbo and The Sims Online are international entities, attracting users across the globe. They have one common regulatory mechanism; the End User License Agreement (EULA). This contractual document forms the cornerstone of the regulatory and governing system within each of these distinct spaces. Yet the EULA is regularly contravened by users and the game provider alike, suggesting it is neither fit for purpose, nor adequately designed for these online spaces. The EULA forms not only the contractual relationship between the service provider and the end-user, but is also intended to control the behaviour of the users in the relevant online environment. These are very often the only forms of control or regulation that are present in online environments, and therefore control more than user behaviour.Despite this, there is no specific set of ‘virtual laws’ in these online environments yet the disputes arising from these environments are becoming increasingly common. There are online / offline boundaries, and different levels of controlling mechanisms. These boundaries are only one dimension of the control required in these spaces. Code is protected by copyright, and copyright is allocated by contracts. As such, there is an inter-dependent core which sees code, copyright and contract allocating not just property rights and intellectual property rights but adjudicating on disputes. In this relationship, there are different levels which combine to produce a situation whereby contract is dominant. This paper will consider the current layers of control in online gaming environments in light of some examples of legal disputes that have arisen. It will consider the Magic Circle theory and the Theory of Interration – and potential modifications in light of Tseng’s suggestions but also in context of disputes and the layers currently in place before suggesting that there is perhaps a chasm in this system of layered governance and control. The Data Retention Directive has given rise to significant concerns within the European Union regarding its compatibility with existing fundamental rights, and more specifically with the rights to privacy and data protection. Since 2008 numerous national courts have declared unconstitutional specific provisions of the national laws transposing the Directive on the basis that they violate the rights to privacy and data protection. Although a first impression may be created that the national courts have decided upon the compatibility of the Directive with those rights, a closer look into the reasoning of the various courts reveals that this might not be the case. To date, two requests for a preliminary ruling on the compatibility of the Data Retention Directive with fundamental rights have been filed at the Court of Justice of the European Union. 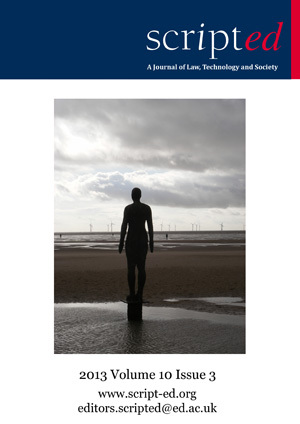 This paper studies the rationale of the decisions of the national courts that have dealt with data retention with regard to the rights to privacy and data protection in order to identify the main arguments in the reasoning of the courts. The paper also examines whether these national court decisions could influence the Court of Justice, in view of its anticipated decision with regard to the cases pending before it. The ownership status of digital content – whether it be music on iTunes or eBooks on Kindles – is increasingly on the general public’s mind. For those in European legal and technical circles, such questions rose to the forefront of consideration in July 2012, when the Grand Chamber of the Court of Justice of the European Union issued its decision on UsedSoft GmbH v Oracle International Corp. The decision declared that those who download large-scale, enterprise-wide commercial software in fact own it, and thus its author’s distribution right under the Software Directive is “exhausted”. Many commentators welcomed the decision as the definitive establishment of a second-hand trade in download-only software. The decision and its implications are potentially pivotal for the future of the second-hand trade in eBooks, computer games and other digital content. This paper seeks to demonstrate that although perhaps not explicitly intended by the Court, the case is a clear example of the application of the continuing discussion of “online/offline equivalence”. It is argued that, on this basis, it is clear that the Court was attempting to foster the legal framework necessary for such a second-hand market in digital content of any variety. However, the paper concludes speculatively, questioning the long term relevance of the decision. It is argued that if the likes of cloud-based distribution services such as Spotify become the norm, the existence of the very concept of second-hand may fade.